Have you ever wished you could get some “one on one” time with cover crop experts, two whom also happen to be plant or soil scientists? Consider yourself fortunate because you can now have a “fireside chat” with John Meisinger from Maryland and Tom Kaspar from Iowa, and me. 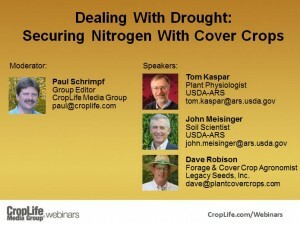 After the CropLife Webinar – Dealing with Drought: Securing Unused Nitrogen in a Dry Year the three of us were challenged to answer the questions from the audience that were asked during the webinar. 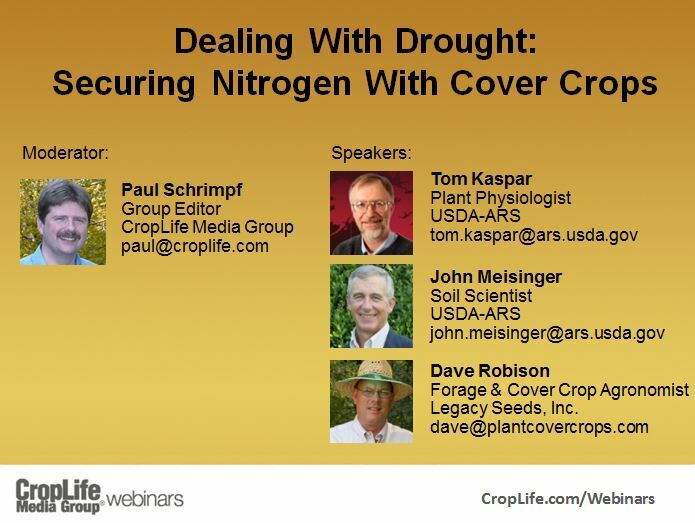 We did not have time to answer the questions on the live webinar so I am presenting the Cover Crops Webinar Q/A that the three of us participated in. How do the brassicas compare to small grains in terms of nitrate recovery? What risks are there to soil moisture management with cover crops? If the spring is dry, can cover crops make the following crop’s emergence worse? If the spring is wet, are there risks to getting equipment in the field to kill the cover crop? 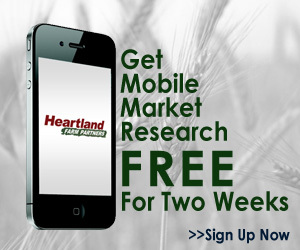 Do the cover crop radishes release the N they take up during the following crop year? If so, how much? Your slide showed 250 pounds of N being taken up per acre into the radish – is this all released the following cropping season? It may help to watch the webinar first, but even if you can’t do that, the sound agronomic advice should be very helpful. You can also connect with me on Twitter and Facebook. Be sure to also check out my cover crop videos on YouTube. Cover Crops- It is Amazing how much interest there is these days!